New to the forum and happy to have found it. 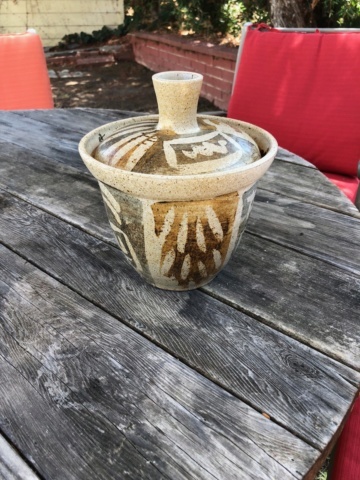 I came across these 2 different items (one garden pot and a kitchen tray) at a Estate sale. 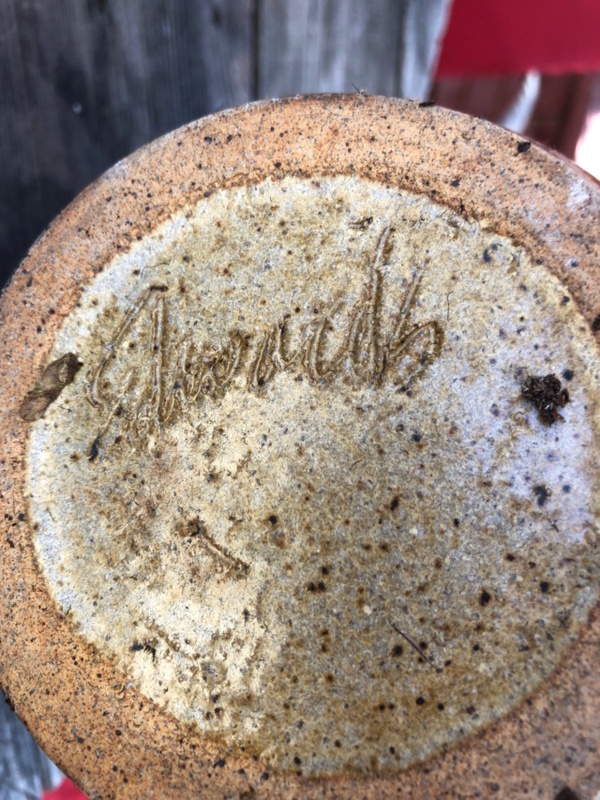 The first one seems to be a mid-century pottery with the signature I can identify. The second one seems straight from the 70's, beautiful square kitchen dish with orange handle. There is a marking with a number on the bottom but no name. If someone is familiar with kitchenware marking, that would be helpful. I’ve moved this to ID My Pottery where members can find it. The other pottery groups are for identified pots.